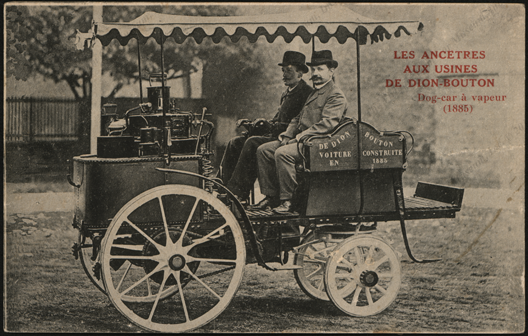 This postcard illustrates the "De Dion-Bouton Quadracycle a vapeur (1882)." 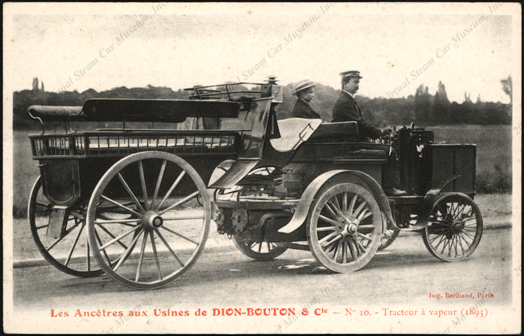 Two French postcards showing two early de Dion-Bouton steam carriages. 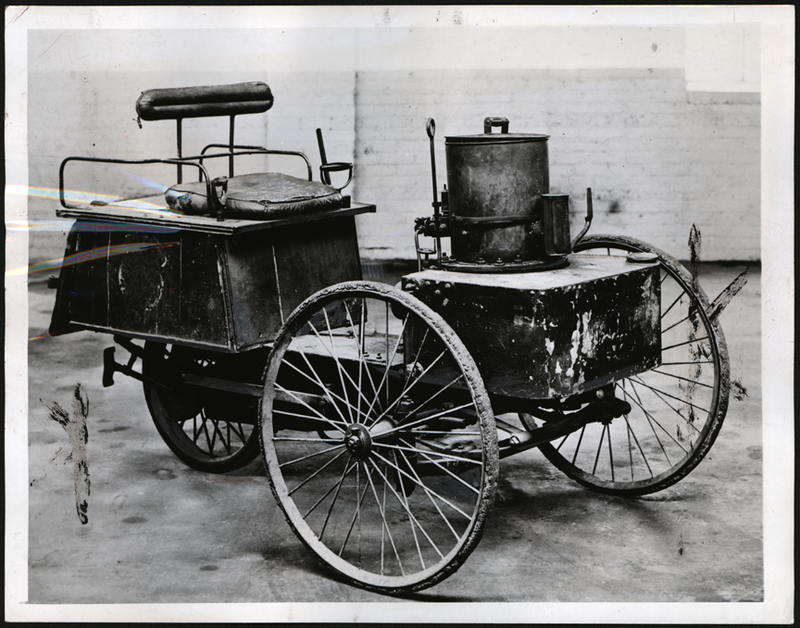 De Dion-Bouton Dog-Car a Vapeur of 1885. 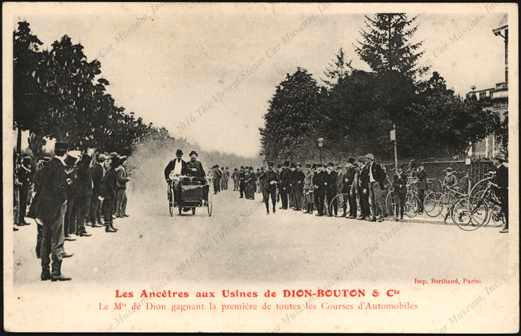 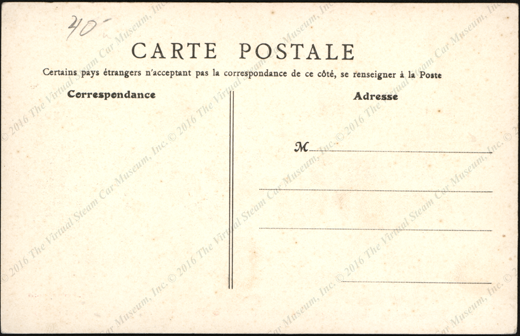 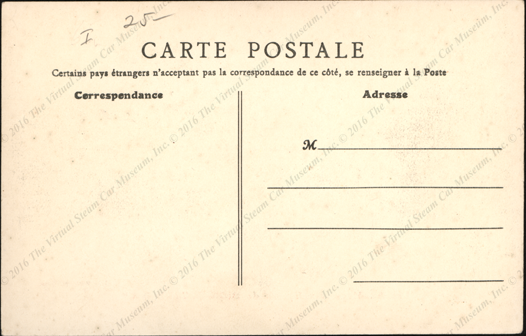 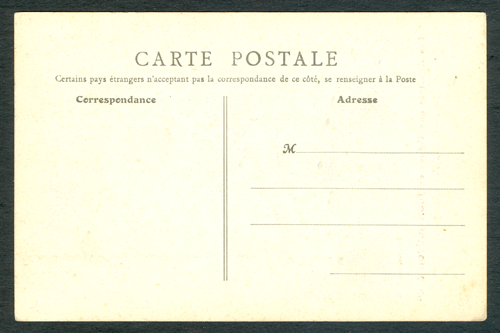 This post card shows a De Dion-Bouton steam car in a race. 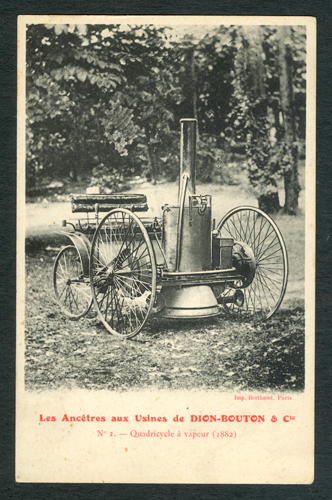 This post card illustrates the a De Dion-Bouton steam tractor pulling a passenger wagon. 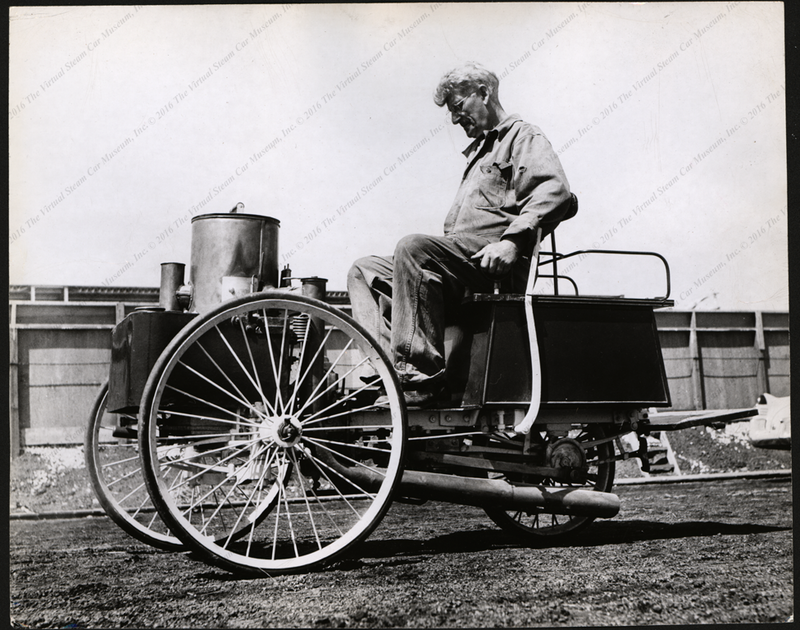 Many steam vehicles were commemorated in 20th century china, including the de Dion-Bouton. 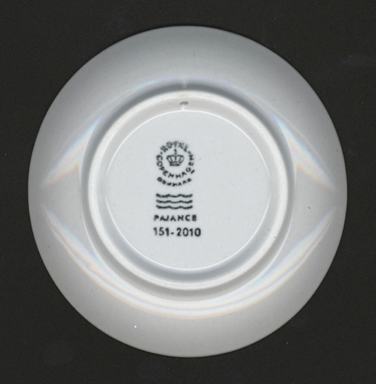 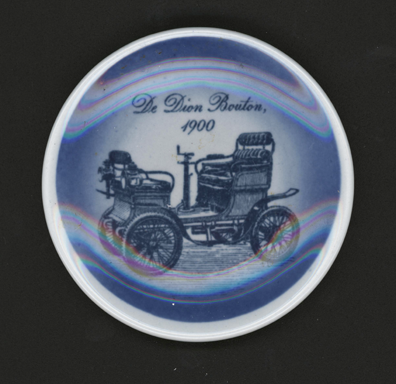 This small plate shows the 1900 version of the de Dion. 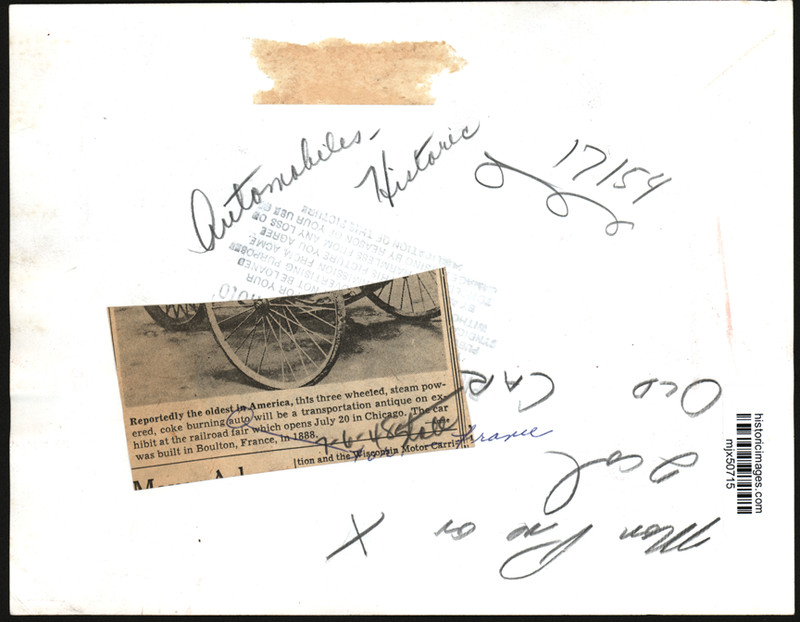 This press photograph carries a July 6, 1948 date. 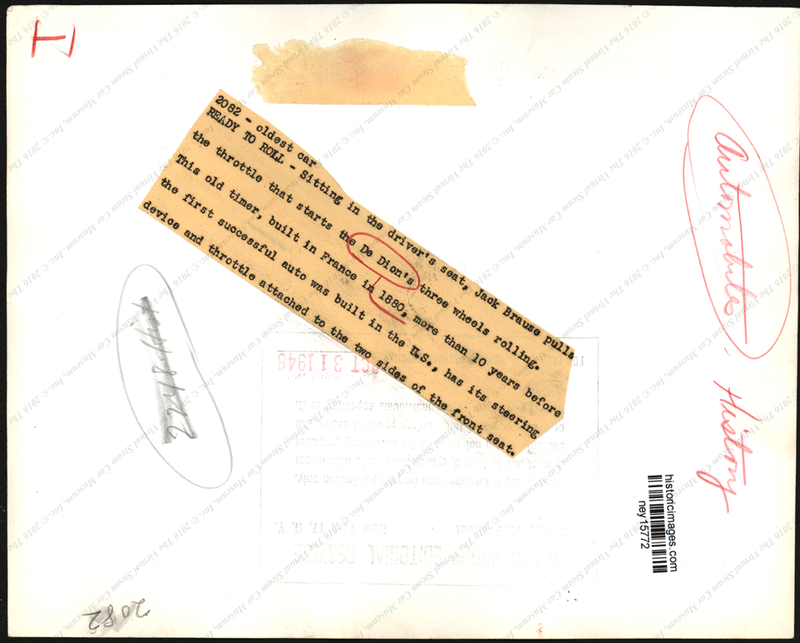 This press photograph carries an October 31, 1948 date. 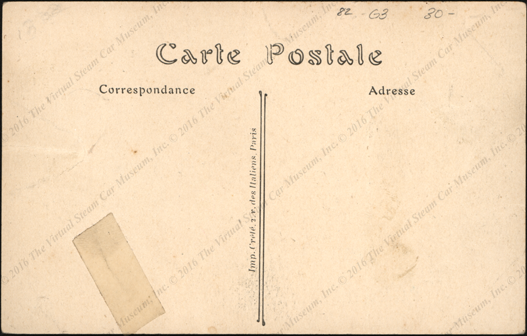 Contact us if you have additional information about the de Dion-Bouton Company, or if you have questions.